1. Declare a variable at project Scope level in SSIS. 3. 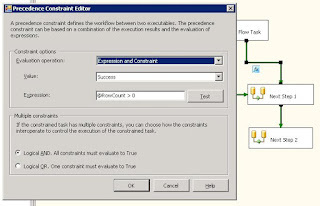 Go back to control Flow Tab, Just below the Data Flow task, that was modified above, add a Precedence Constraint and join it to Send Mail Task, add another Precedence Constraint and Join it to the task that should be executed next. At this point, under the same Data Flow Task, there will be two Precedence Constraints with Green Color (Success). Next, condition needs to be added to these Precedence Constraints, so that in case there is no record an email should be sent to the user. 4. Remember that already a variable has been set above with Row Count, same variable will be used here to decide whether there was any row returned or not. 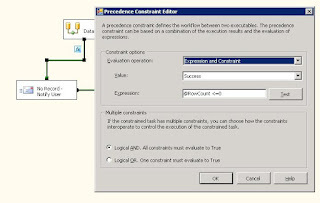 Configure the Precedence Constraint just similar to what is shown in figure below. Doing this, it will make sure that email will be sent only if RowCount is 0. 6. Once these steps are completed, you will notice 'fx' icon next to each of the Precedent Constraint. 7. Next, Set the Precedent Constraint between Email Task and the task that should be executed when more than 0 records are transformed. 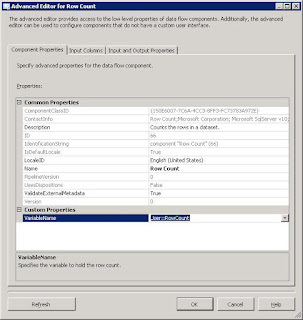 This step should be ignored, if SSIS has not to proceed further if 0 rows are returned. 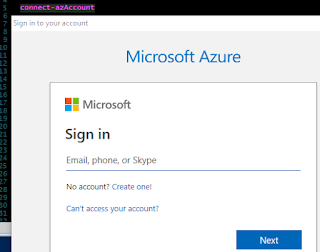 Setting up Anonymous Access for Reporting Services in SQL Server 2008 R2. SDS. Awesome Inc. theme. Powered by Blogger.